All six of Britain’s UCI ranked teams will tackle the brand new Ipswich and Coastal Grand Prix this Sunday as final preparation for the Tour of Britain, which begins less than a week later on September 15 in Peebles, Scotland. 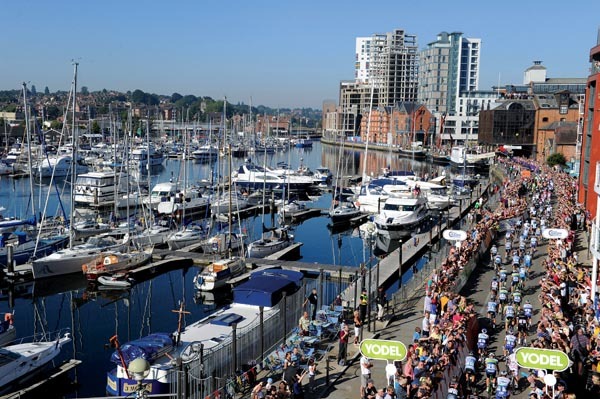 The race, that has a name almost as long as the 200km parcours (University Campus Suffolk Ipswich and Coastal Grand Prix), will start and finish on the Ipswich waterfront and include laps around a circuit to the east of the town. Premier Calendar overall winner Evan Oliphant will be joined by his Raleigh teammate (and Premier Calendar runner-up) Tom Stewart while the in form Simon Yates, fresh from two stage wins at the Tour de l’Avenir, is likely to lead the 100%ME team from the British Cycling Academy. The toughest 50 miles in the UK? Known locally as one of the toughest places to ride a bike in the country, this weekend sees Sheffrec CC’s annual ‘Tour of the Strines’ opened up to the general public for the first time in its history and entries are still available. The reliability ride gives riders the chance to tackle what the club is calling ‘the toughest 50 miles in the UK,’ with over 8000ft of climbing and barely a metre of flat road just to the north west of Sheffield. In fact the area is so tough that it was one of the key selling points for Tour de France organisers when they decided to start the 2014 race in Yorkshire and take the final 30 miles of stage two, from York to Sheffield, up and down the area’s lanes. Former pro Thierry Gouvenou, now a course director for the Tour, likened the finale to that of professional cycling’s oldest event, Liege-Bastogne-Liege. Head to the event website to find out more. Although we may still be basking under sunny skies, the leg warmers and shoe covers consigned to deep in the bottom of the drawer, it won’t be long before the nights start drawing in and winter’s icy grip will be felt once more. 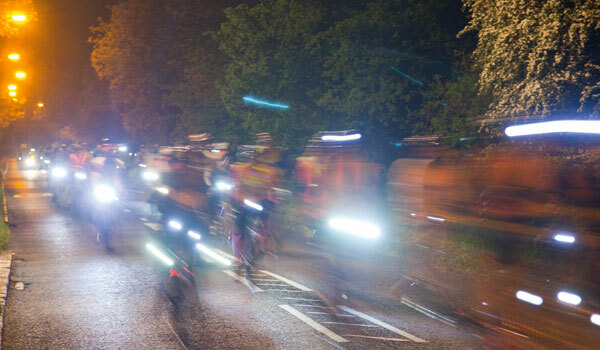 To help riders choose the best kit for getting through the winter, Rutland Cycling will be organising six night rides from three stores in Whitwell, Normanton and Fineshade where you can try out the latest lights, jackets and other winter gear before buying. The first of these takes place at 6.30pm on October 1 from their Whitwell store, where Gore and USE products will be available to test, with further dates right through until February. To book your place on the first ride email rides@rutlandcycling.com or telephone the Whitwell store on 01780 460 705. Cyclists of a certain age don’t need telling of the benefits of riding a bike in order to keep fit and healthy, in mind as well as body. However we in the UK are falling well behind the rest of Western Europe when it comes to pedalling our way into retirement, with just 1% of journeys for the UK’s over 65s made by bike. Of course the Netherlands (23%) and Denmark (15%) lead the way. A new £1.4 million study led by researchers at Oxford Brookes University will investigate the potential role of cycling in improving the health, mobility and well-being of the UK’s ageing population and look at ways of making cycling more appealing to the needs of older people. “It is a common misconception that older people don’t cycle or have no desire to do so,” said Tim Jones, senior research fellow at the department of planning at Oxford Brookes.